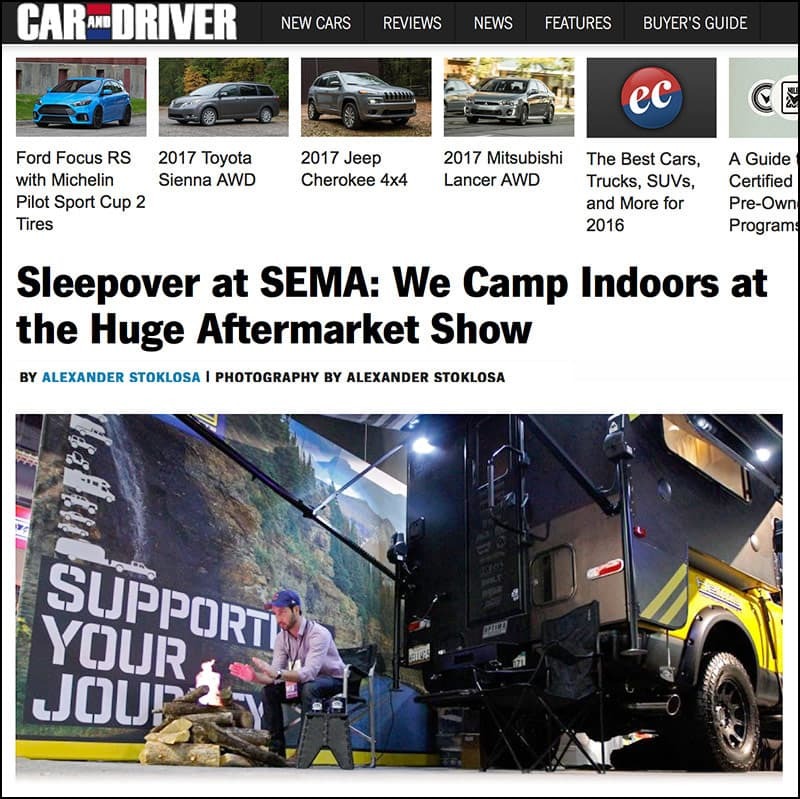 Car and Driver magazine reporter, Alexander Stoklosa, camped overnight in the Hellwig-Lance “Rule Breaker” truck camper rig at SEMA 2016. And that’s not the only thing that happened that night. Click on the link below to read Alexander’s unusual story, including a very late night with the Cubs, an unprecedented SEMA media pass, and what might be the strangest place anyone ever camped in a truck camper. Batter up! To request a free brochure on the Lance 650 or the Hellwig suspension products on this rig, click here. All You Want For Christmas Is What? Do You Ever Go Truck Camping By Yourself?